With the government of Indonesia having vowed to end the dog and cat meat industries, Animals Asia has accepted an invitation to join the Dog Meat Free Indonesia (DMFI) coalition to help hold the authorities to their promise and ensure an end to the suffering of millions of animals. The dog meat trade is thought to take the lives of millions dogs in Indonesia every year, while investigations by DMFI have revealed horrific cruelty and illegality at every stage of the industry. Many of the dogs are stolen from loving homes, transported in abhorrent conditions and killed in the most brutal ways. The trade has also been identified as a danger to human health and a key factor in Indonesia’s inability to wipe out rabies. With elections now looming, DMFI’s petition calling on the government to honour their promise for a ban could be vital to ensuring the trade ends. DMFI tackles the dog meat trade in Indonesia through public awareness campaigning, political lobbying and engagement, and on-the-ground practical support for interceptions. 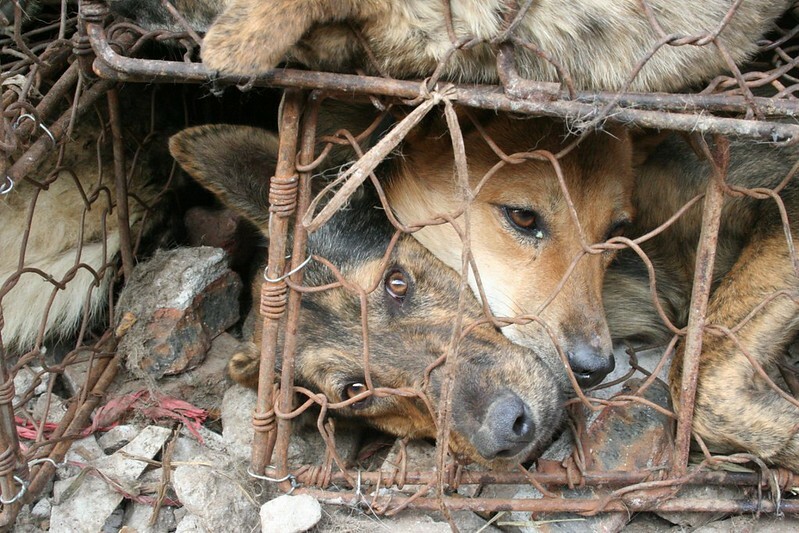 The coalition is campaigning for a complete end to the slaughter of dogs for consumption, as well as the sale and consumption of dog meat and all associated products. DMFI’s petition calling on the president to uphold his government’s promise has been signed by more than 950,000 people and attracted the support of celebrities such as Ricky Gervais, Peter Egan and Joanna Lumley. According to DMFI statistics, only 7% of the Indonesian population ever consumes dog meat, but the trade threatens the health and safety of the whole country through the spread of life-threatening diseases including rabies. With 12 million visitors each year, tourism is a major driver of the Indonesian economy but one that is at risk from the negative publicity and health risks of the dog meat trade. The DMFI coalition is made up of Jakarta Animal Aid Network (JAAN), Change For Animals Foundation (CFAF), Animal Friends Jogja (AFJ), Animals Asia Foundation (AAF), Humane Society International (HSI) and Four Paws.